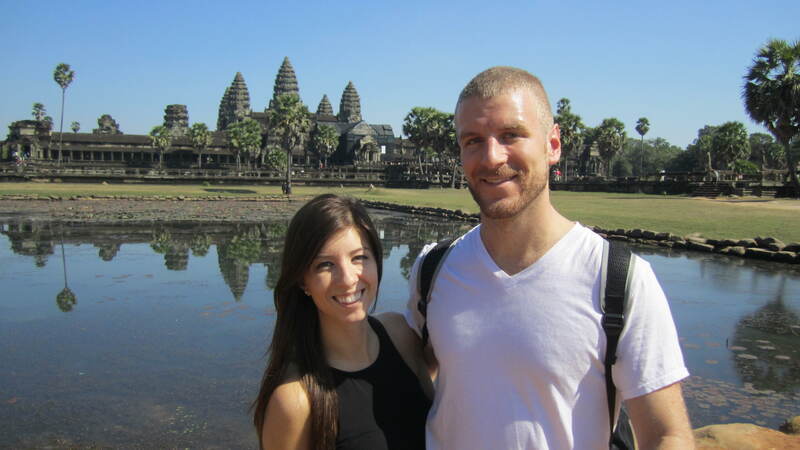 The last picture of Luke and his “murse” together in Vietnam. While travelling South East Asia, we’ve felt safe most of the time. We had read and heard some of the horror stories of Phnom Penh — bag snatching, muggings, and scams — but we felt that our general cautiousness and not cutting corners on safety was all that was necessary. Those stories can be heard from almost any country you visit, after all. 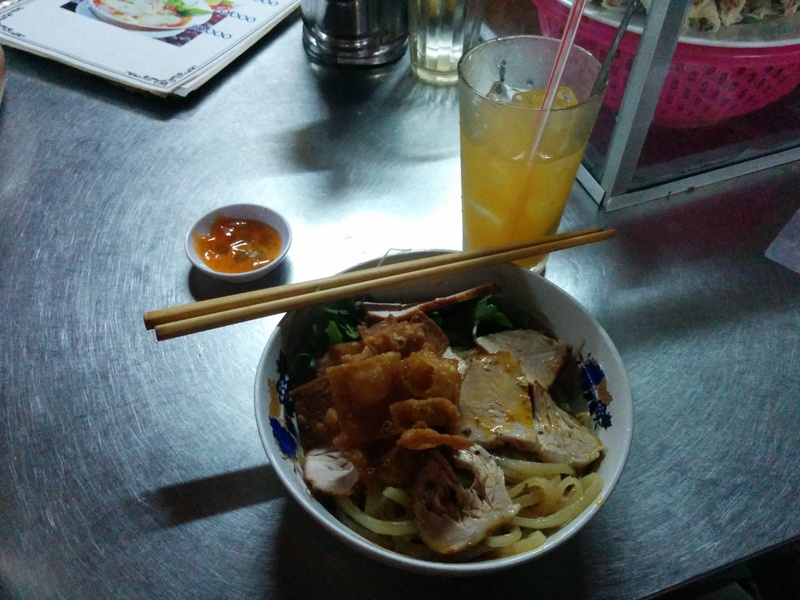 When we arrived in Phnom Penh, we checked into our guesthouse and headed towards the night market. We were starving, so we just dumped our bags and headed out. As we stopped to check directions on our phones, Luke suddenly got shoved and a guy on a motorbike ripped his side bag off of him and drove off. Luke was okay and luckily his bag was cheap and it was a clean break of the strap. He had his wallet in his pocket, his passport at the front desk, and his cell was in his hands — thank goodness. It was definitely a fluke since he normally keeps everything in the bag. But, we soon realized that we had forgotten to take out my passport. Just like that, my passport was gone. We went back to the guesthouse and the front desk staff gave us a “meh, it happens” sort of reply. We went to the police station, which was a hole in the wall that had zero actual cops in it. Someone called the police, and two eventually showed up. An officer took our statement, stopping us constantly to ask the most redundant questions. Things like, ‘so have you been to the musuem? Where were you headed? Which shoulder was the bag on?’. We knew enough about Cambodia to know the cops weren’t going to be much help, but for insurance purposes, we needed the statement. We didn’t sleep all night. The next morning, we went to the Australian embassy (the closest Canadian embassy to us was in Bangkok) and began the process. The costs and hassles we were facing were insane. I was informed that I’d need to buy an exit visa, since my Cambodian visa was in the passport, which would take about four days in Phnom Penh. Then, I needed an emergency travel document (a one-time passport, essentially), which would take me to one place — either home or Bangkok. In Bangkok, I would then need to apply for a whole new passport at full cost and wait a month for it to come, since I needed it to continue our travel plans. All in all, this was starting to look like a month and a half ordeal plus about $1000, when we factored in the accommodations in places we hadn’t intended on staying in, the unplanned flight to Bangkok and so on. We were devastated. The silver lining was that thankfully it was just one passport and no cell phones, cash, or cards. As we got back to the guesthouse after many tears, I checked my phone and had four emails from people commenting on my personal website. Three foreigners told me that a local guy posted on a Facebook group that he had my passport and left a number. They had Googled my name and found my website and Twitter. We quickly called the embassy, cancelled the paperwork, and got a tuk tuk driver to call the guy and arrange for us to meet him. We waited for an hour in the tuk tuk for the guy to finally call us again. Finally, we get a call and head down a sketchy alley way. We had read online about cases of extortion when passports had been stolen, so we came empty-handed other than a small bit of cash. We were still a bit nervous about to what to expect. Finally, we found the right house in the heart of a Cambodian slum, and the man came out with his entire family. He was the sweetest guy and he told the tuk tuk driver that he had found my passport scattered on the ground with a few papers. He just wanted to make sure it was me before giving it back, which he promptly handed right over. We offered him $40 as a thank-you and he humbly accepted it and offered us a ride back on his motorbike. It was an extremely emotional day for me to say the least. The kindness of strangers was overwhelming. Our trip got to go on completely uninterrupted (other than some shaken nerves) and to this day, I can’t believe it worked out the way it did. We got lucky, but honestly if you’re visiting Phnom Penh, please be extra careful. On the Phnom Penh Facebook group, there were three additional posts about people being robbed in the same way as us that week. Our friends commented similar feelings towards the city – it’s normal to see motorbikes drive by slowly while conspicuously checking out what you have on you. You can never be too careful anywhere — wear a money belt (uncomfortable and not stylish, I know) and hold your purse/backpack while you’re walking. Lastly, always keep your passport locked up at your hotel and never get too comfortable. With that, we take a massive sigh of relief and thank the kind locals of Cambodia for showing how great this country can be, despite a few bad seeds. We’ve updated our Flickr with all our photos from our life in Hanoi and our motorbike trip to Halong Bay. Check them all out by clicking here. Enjoy! 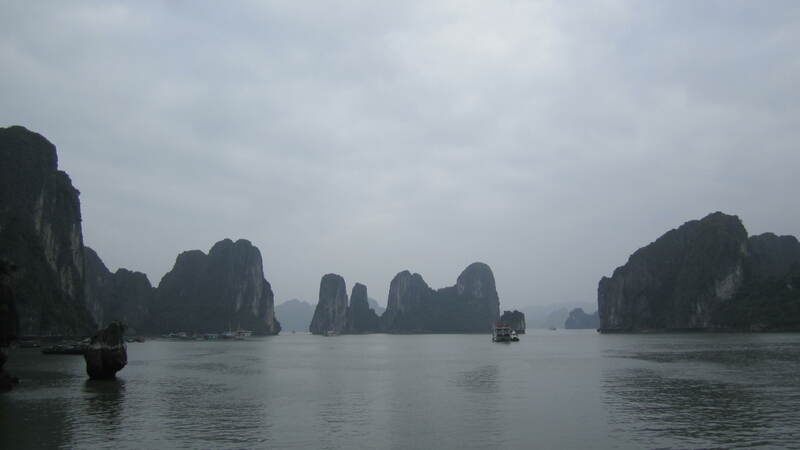 Even though it was wintertime in Northern Vietnam, we didn’t want to leave the country without visiting Halong Bay. It’s a UNESCO World Heritage Site and a destination so popular, travellers flock there by the busload. You can get a cheap trip there from any travel agent ranging from $40 for a day trip or $110 for a three day, two night boat and hotel trip. Luke loves motorbiking, however, so we decided to go out with a bang and enjoy the countryside by bike. We swapped our Yamaha for a Honda Win from our trusty mechanic, Phung. 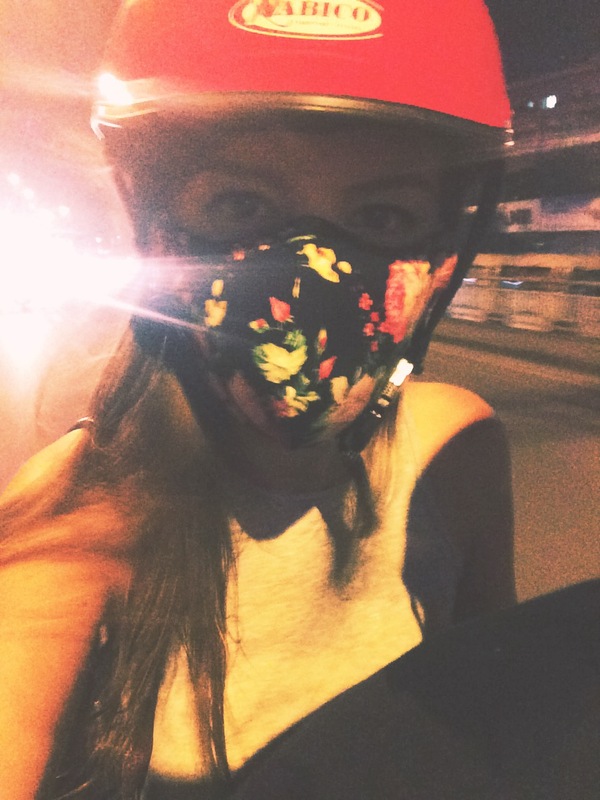 We strapped our day pack on, put on our face masks, and filled up a water bottle of gas for the journey in classic Asia driving style. Many people classified the drive as dangerous, but we didn’t find it dangerous at all. For about 12 km, you have to drive on the shoulder of the highway (as many other bikes also do) and it can be a bit daunting with trucks speeding past but in Vietnam, everyone tends to respect the space on the road. After that, it’s perfect countryside to take in the sites and smells of Vietnam. It made us appreciate the country so much more than being in the city. We stopped for coffee in a small town and our bike wouldn’t start. A man happily came over and with some charades, fixed the starter and waved us on our way free of charge. Honestly, the one thing I loved most about Vietnam is everyone’s willingness to help each other out. No one will leave you hanging and I love that about the culture. It took us about four hours to reach Halong Bay. Since it was winter, it was cold and foggy but we were dressed properly and ready to see what all the fuss was about. We met another couple who helped us barter a cheap price for a four hour tour of the bay via boat for about $25, including a stop at the Sung Sot Cave. Halong Bay is breathtaking, even amidst all the fog. The boats, the islands, and the calm water create such a picturesque backdrop. Being in the middle of all of it was impressive – everyone was silent while taking it all in. We made a quick stop at the Sung Sot Cave, which was also really cool. We didn’t even plan on seeing the cave, so for us it was a pleasant surprise. Later on we headed out to get food and find a place to stay. Some bargain hunting off the main drag led us to $10 a night guesthouses and when one showed us a soft mattress, we were sold (they’re rare over here). All in all, Halong Bay is not to be missed. Preferably, head there in the summer and book a tour through the sweetest travel agent, Lily. 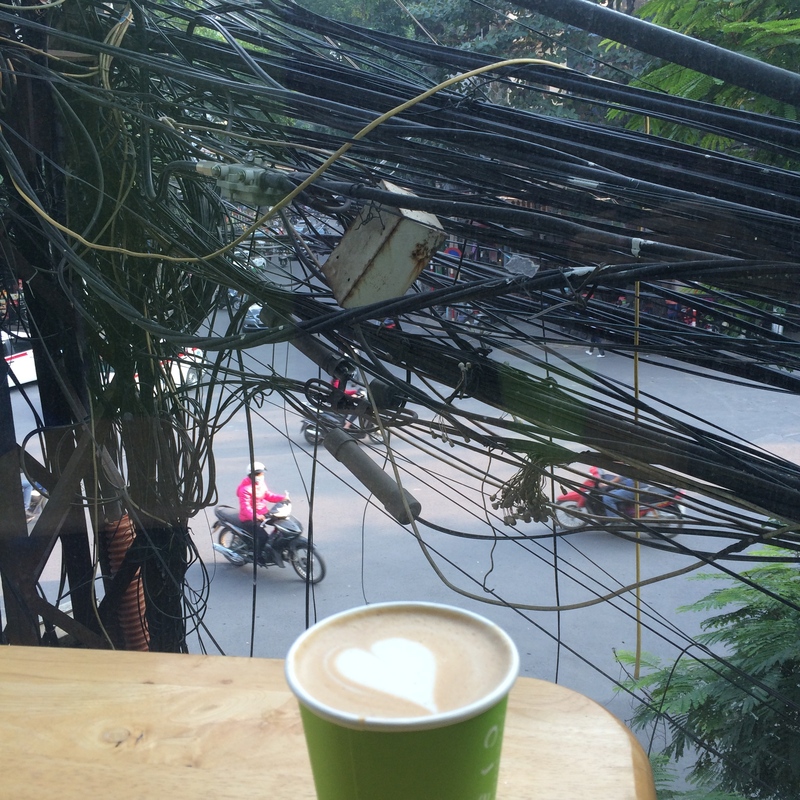 But, if you’re caught in Vietnam in the winter just get out your sweater and take it all in with a cup hot of coffee. 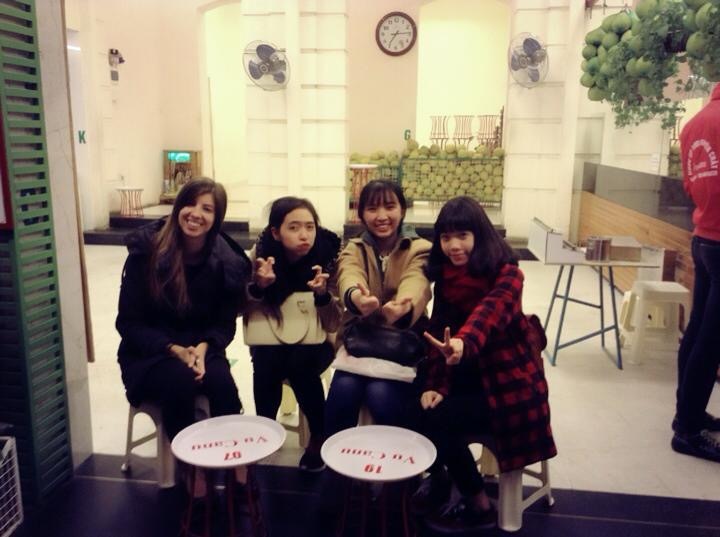 We originally moved to Hanoi, Vietnam to try our hand at teaching English. It’s had it’s ups and downs, but overall it’s been a rewarding experience. 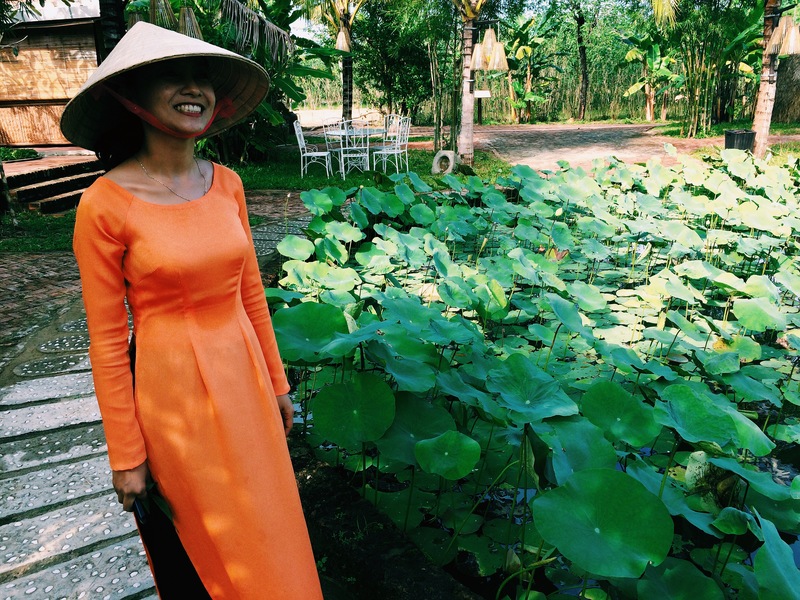 Here are the basic pointers we’ve learned from teaching English in Vietnam. We’re by no means experts, but we learned a few lessons pretty quickly from being over here! To get a job, we simply made a concise resume with our education, experience, and we emphasized our tutoring/teaching time with ESL students. 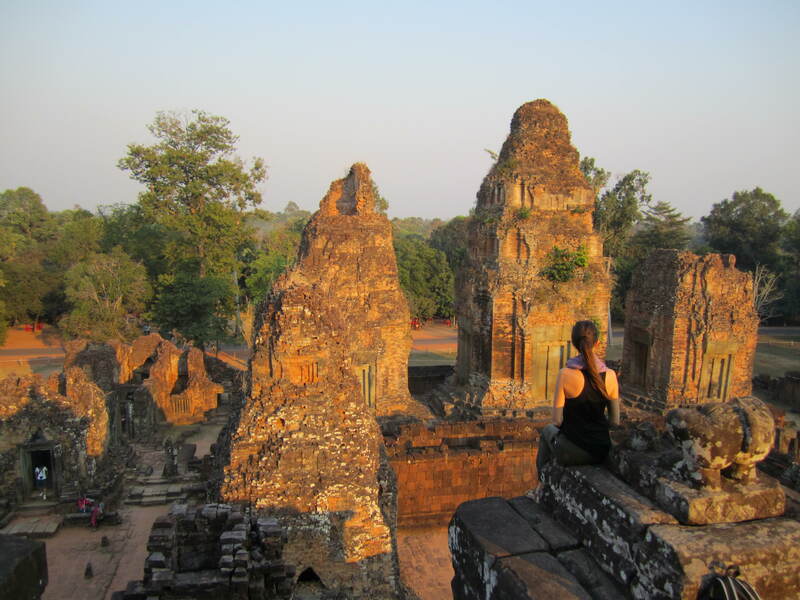 If you have a degree and a TEFL/TESOL/CELTA, then you’ll have your pick of the jobs. If you lack either, you can definitely still find work, you’ll just have to hunt a little bit harder. Teachers in Vietnam make on average $18-20 an hour. Make sure you include a professional picture on your CV, as ‘looking the part’ is just as important as your qualifications. Jobs are posted daily on Hanoi Massive and Expats in Ho Chi Minh City (Facebook groups), as well as The New Hanoian. Don’t assume that you’ll be working a 9-5 schedule as soon as you arrive. This is a large city, and a lot of employers are offering teachers individual classes in the evenings and weekends. Classes are often littered throughout the day or evening andweekends only. Also, be wary of the amount of driving you’ll have to do. At first, we snapped up a bunch of classes but soon realized we were driving an hour to teach for an hour — definitely not worth it. Try to focus on jobs that are close by, or especially on jobs that offer large block chunks of teaching hours. We had some serious frustrations as a result of signing contracts when we shouldn’t have, and most of our friends have experienced this at some point as well. The contracts in this industry often seem to work one way – if you sign the contract and then break it (quitting early, showing up late, etc), they’ll keep your pay. As such, never sign a contract on the spot, and delay signing it for as long as you can until you’ve gotten a feel for the job. Delaying by a week or two might be the difference between being stuck in a bad job and being free to go with pay. Also, be mindful that jobs try to lure you in with the promise of a work visa. They’ll either never follow through on this promise, continue to put it off, or get you one and you’ll be locked in with them for a year (or at risk of losing the money they put out to get you the visa). If you’re serious about staying here, make sure to get a company that will follow through. If you’re unsure about staying here, put off getting a work permit. Every year, the entire country slows down for Tet, the Vietnamese New Year. This year Tet falls on Feb 15-23, but you can check it online here. Less money gets spent in anticipation for the celebration, so there are fewer people hiring, and fewer hours being given to teachers. If you arrive in January or February, prepare yourself for a very slow start. That being said, all other times are consistently good. May/June is perfect to get hired for the summer term (students are out of school, and hours are high), or November/December to replace all the teachers leaving for Christmas. Be picky about where you work and try to find somewhere you enjoy. Teaching at a public school can be very rewarding if you enjoy children, but classes can range from 30-50 students with little to no help from teaching assistants and terrible organization. We often hear that teaching these classes are quite challenging. We’ve always opted for language centres for this very reason. This leaves us working mostly evenings and weekends, but the class sizes are smaller and we were lucky to get mostly adult/teenage classes. Teaching older students is awesome, as they’re more eager to learn and teaching conversational English is more enjoyable. On the other hand, kids classes are a lot of fun if you like playing games. Vietnamese children are always so happy and hilarious to spend time with. 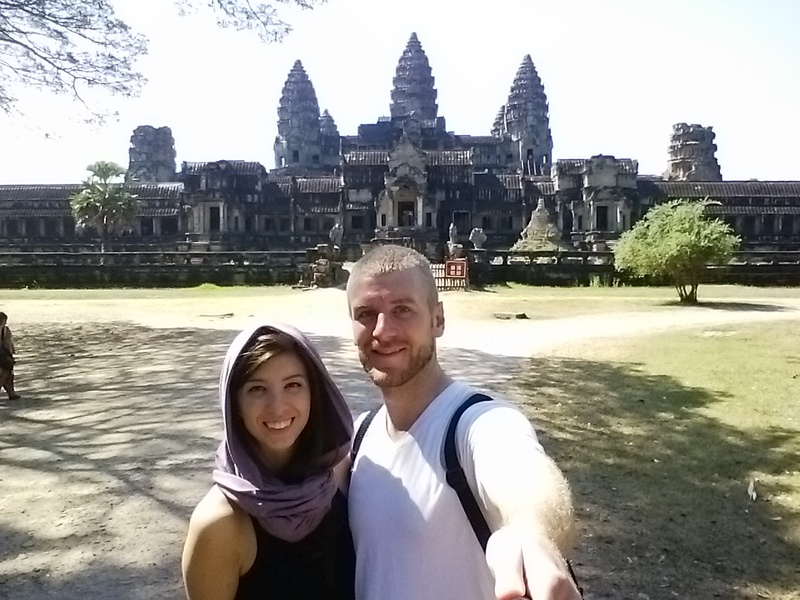 All in all, teaching English has proved to be an incredibly easy way to work while traveling. The low cost of living means that saving up for your next leg of traveling is not hard at all. We definitely made our moneys worth teaching in Hanoi, Vietnam. If you browse Dave’s ESL Cafe, the salaries for Korea, China and the Middle East all seem to leave room for quick savings, as well. 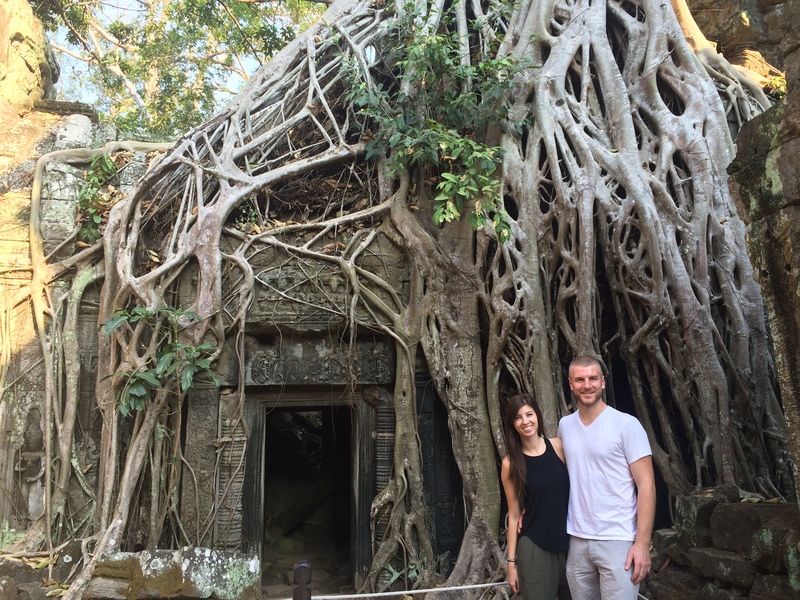 Much overdue, we’ve uploaded all of our pictures from out time in Hoi An, Vietnam. Check out our pictures from Hoi An here on our Flickr. I’ve definitely been slacking on updating our blog, apologies for that! We’ve been extremely busy settling in and working. 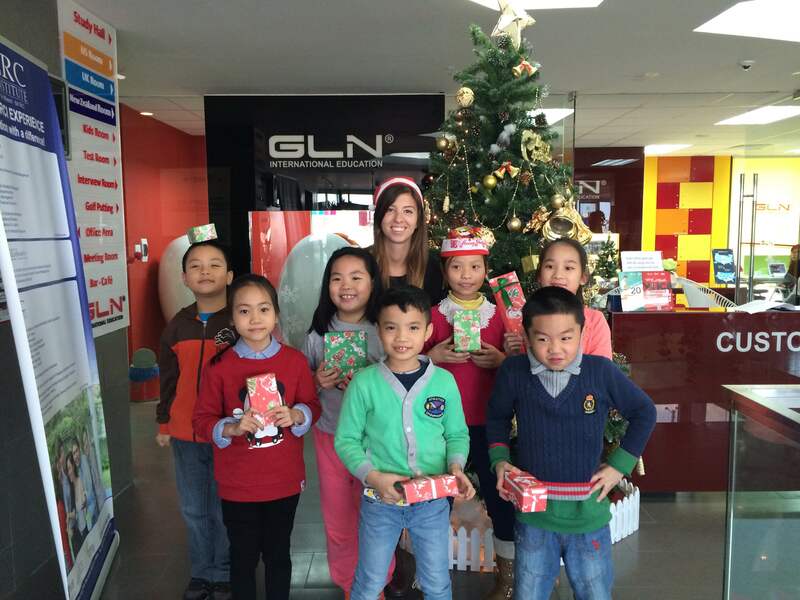 We moved to Vietnam to teach English and the job market in Hanoi is plentiful. We both got teaching jobs the day after we moved here and it’s been an adventure ever since. More on that later! As one could imagine, living in Vietnam is quite different than Canada. 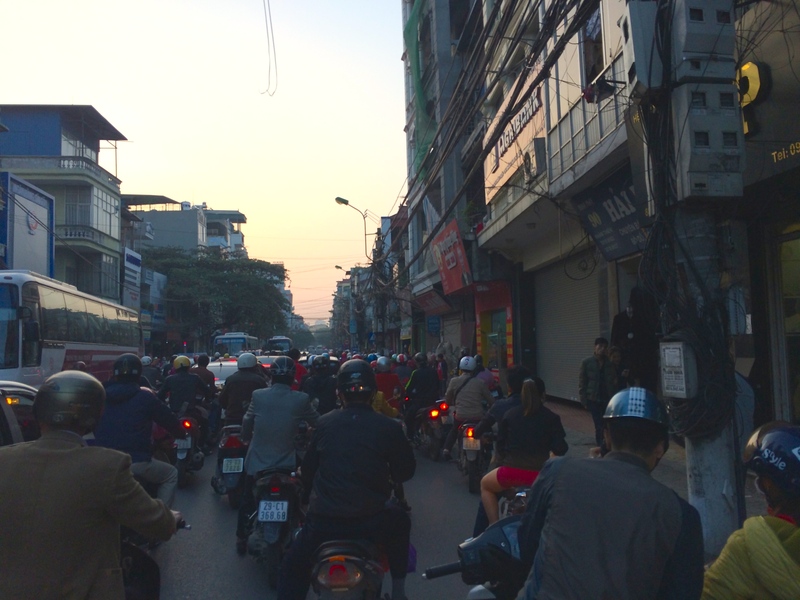 Here’s a few highlights of our daily life here in Hanoi. The traffic is insane here. With nearly four million motorbikes on the road, plus cars, vans, public transit, pedestrians, and cyclists it makes almost every journey to work a miracle that we survived. Our friends often joke about the road rage we’ve all developed over here. Some days on my way home from work, my jaw hurts from clenching my teeth. It’s pure insanity. some order to everything and keep two lanes of traffic flowing. It’s a cute attempt on their part but unfortunately, not too effective. Luckily, everyone is driving at a max speed of about 30 km/h if you’re lucky and it’s often stop and go. Most days I’ll bump (or be bumped by) a bike or two. You get used to it. We even had our bike knocked over once, but the slow city speeds meant there was no harm done. Luke got himself a Yamaha Nuovo for about $250 USD and I got myself a cute little red Honda Wave for $270. We should be able to sell these to other foreigners when the time comes. Gas costs us about $2.50 a week, and our helmets cost us $5 each. Mine got stolen recently (a common thing here) and I had to buy a new one, so I’m at $14 total for brain safety. We have been pulled over by the police once for accidentally driving in a “car only” lane. Luke slipped the police officer 500,000 dong ($25 CAD) — sorry mom! — with his license and he let us go, no questions asked. Getting pulled over by cops can be quite tricky, since foreigners don’t have the right driver’s license and cops in Vietnam can pretty much do whatever they want. We were worried our bike would be impounded, so we were happy to pay the bribe and move on. All you can hear all day is car honking. From about 6am till 11am, the honking is constant. Also, it’s extremely polluted here. A good long drive will gift you with a nice pounding headache. We’ve invested in these fancy hospital mask things (reusable!) which most people wear. It’s not perfect, but it’s a lot better than breathing the smog directly. Not only is the food here in Hanoi incredible, but it’s dirt cheap. A meal will cost you anywhere from $1-5 USD for a huge portion. The key is to find the right places that don’t charge foreigner prices! 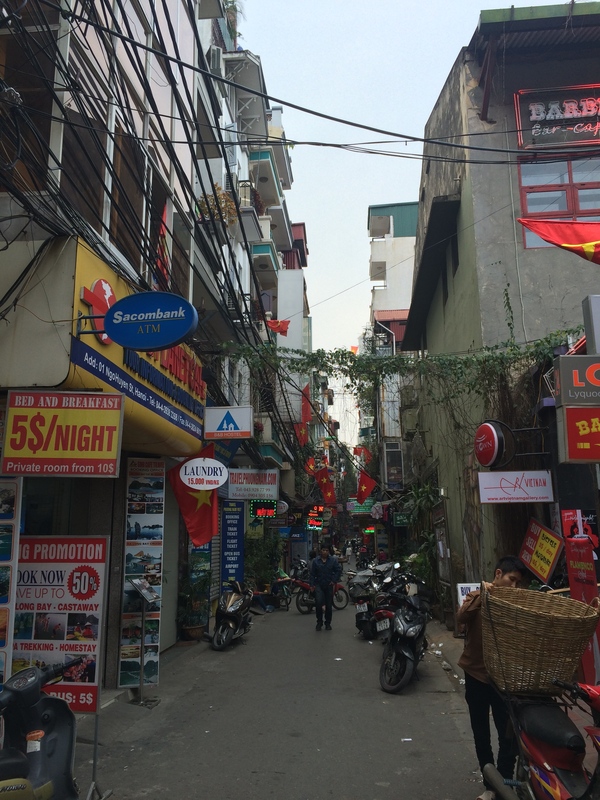 We live near the Old Quarter in Hanoi, which is home to so many great places to eat. Around the corner is a Phở place we love which serves us a heaping bowl of beef soup for $2.50 (50,000 dong) each. 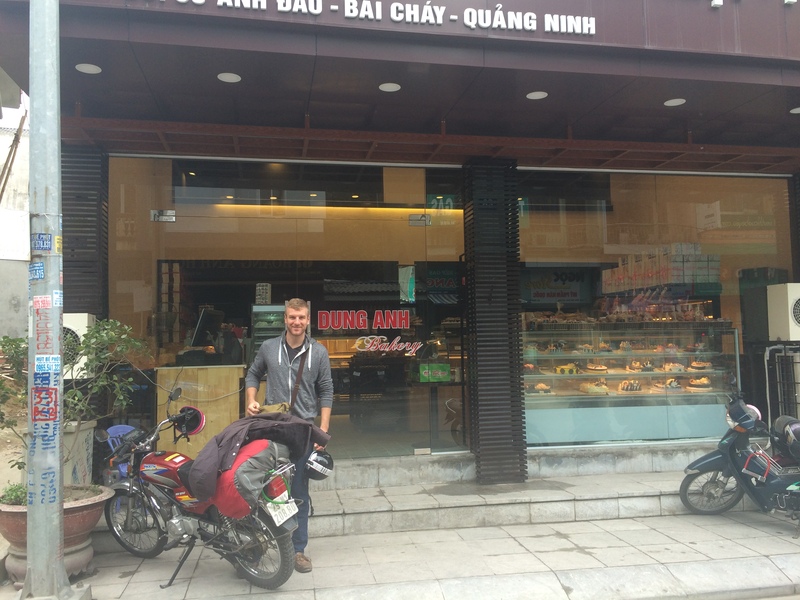 We also love the Bánh mì sandwiches at $1 (20,000 dong) a pop. Actually, we’re a little bit addicted to the sandwiches. They often come with some sort of slow-roasted port, a pork liver pate that’s to die for, and fresh veggies like cilantro, cucumber, and tomato. We also found a delivery place that brings them right to our house. Mmmmmmmm. On the other hand, we love to cook as well. Vietnam doesn’t do the whole oven thing, so we just have two gas stove-top burners. I can honestly say I haven’t missed having an oven. You really can make do with just a stovetop, aside from a good homemade pizza, we’re doing alright. 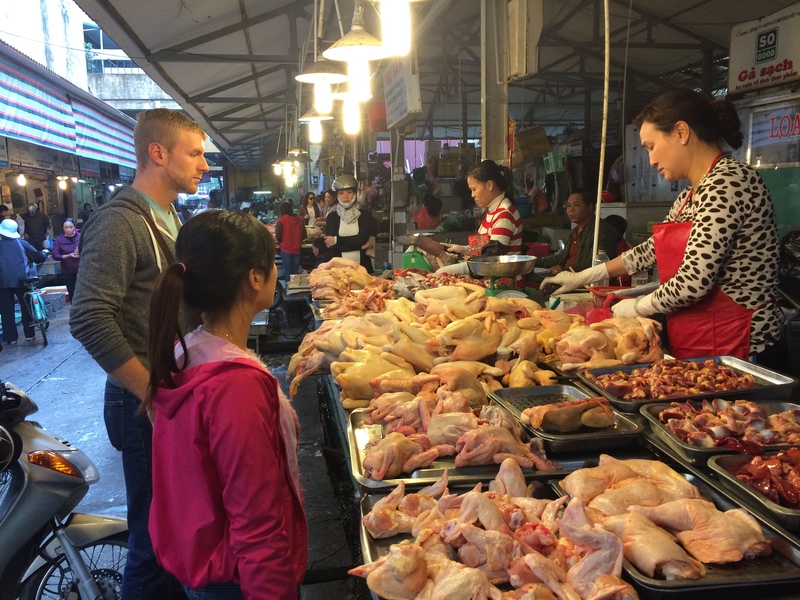 We go to the market down the street from us where we buy chicken breast off a butcher for $2.50 (50,000 dong) for two big boneless, skinless chicken breasts. Then, we visit our favourite veggie lady and usually end up with a bag of veggies that includes red and green peppers, two onions, cabbage, garlic, broccoli, bean sprouts and cilantro (depending on the day). We’ve never paid more than $3 for everything (60,000 dong). We come home and make a meal for about $5 total that lasts both of us for about two days. Last, I can’t forget to mention the sweets. I think deep down I was born Vietnamese, because their sweet tooth matches mine. There’s an ice cream place around the corner from us that sells ice cream with chocolate chips and coconut milk for 15,000 dong ($0.80 CAD) and a tea place I love, Feeling Tea, which sells bubble tea for 20,000 ($1 CAD). Also, we get huge bags of kettle corn to feed my popcorn addiction off street venders for 10,000 dong ($0.50). I’m in love. One of the hardest adjustments food wise has been the milk. Vietnam kind of does milk, but not in the way we do back home. First, it isn’t “fresh” milk. They put sweetened condensed milk in their tea and coffee. The milk we eat in our cereal comes from boxes of milk that can last on the shelf for a long time. Cheese is also a no-go here. If you find some, it’s usually tasteless. Think, ‘white spread’. The rest of the milk they use is powdered milk or soy. We miss our chocolate milk and cheese, that’s for sure. While we have our ups and downs here in Hanoi, I think it’s safe to say that the people in Vietnam have been a treat to get to know. One thing we’ve found is that they’re extremely eager to help. For example, every night we need to bring our bikes inside a locked area so they don’t get stolen. I have a hard time with my bike, since it’s quite heavy. There is rarely a night were a stranger doesn’t see me attempting to get my bike up the ramp and instantly jump to push the back for me. The other night, I watched as two guys from next door helped Luke push his inside without him even noticing. One night, we forgot to bring our bike inside, but the guy who works next door remembered it was our bike and locked it inside the karaoke bar for us. He wouldn’t even accept a thank-you from us the next day. Another time, Luke’s bike broke down outside a fast food place, Lotteria. I texted my student, and she wrote me a message in Vietnamese to show the parking guy. As he was trying to help us, a woman with her two kids stopped to help. She spoke some English and spent at least 15 minutes with the parking guys trying to help us. One of the guys biked to see if a mechanic was open, but it was too late at night. So, she went in and got the manager of the place and he came out, all smiles, and said of course we can leave our bikes there overnight and the guys would bring it in for us and back out in the morning to pick it up. The next day, Luke called a local guy we met when we first moved here, because he’s the only local person we knew. Instantly he told Luke not to worry, that he’d pick him up and they’d get it sorted. He grabbed Luke at 8AM the next morning and drove him 20 minutes to the place we left the bike and then helped him get it to a mechanic. In the end, he wouldn’t accept any form of payment for his entire morning of work and the drive. Like I said, it definitely has it’s ups and downs. Not knowing the language can be tiring and not everyone is as patient as others. But, the one thing I’ve noticed is the kindness of strangers.